LUDLOW – Okemo Mountain Resort has added kids’ snowmobile tours to its lineup of winter activities for families visiting the popular ski and snowboard resort. Pint-sized Polaris snowmobiles travel at a maximum speed of 8 mph. 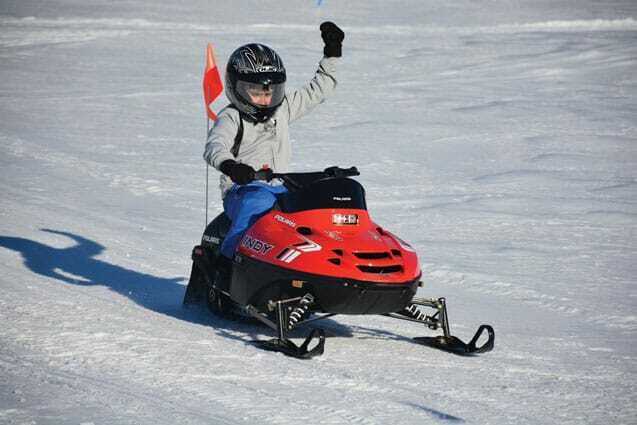 Kids love the look and sound of the Indy 120 XC – a real snowmobile built for kids. Each 15-minute tour consisting of up to four riders takes place on a specially designed course at the Jackson Gore Paleo Field and is led by an adult riding a full-sized sled. Riders must be between the ages of 5 and 12, weigh no more than 120 pounds and be no taller than 5’4”. Helmets are required and provided for riders. Each tour is $29 and reservations are recommended. For more information call (800) 228-1600 or visitokemo.com.